By the end of 2014, Internet Stats Live predicts that there will be upwards of three billion internet users worldwide who will move a trillion dollars throughout the year. With that kind of money on the line, it’s no wonder Internet security is such a valuable business, both for the safety officers and the criminals. Internet security is not simply a function of the equipment used. How and where you log on can put your data at risk. About two-thirds of adults in the United States use some form of cloud storage system to back up and share important documents. Cloud sharing is inexpensive and convenient, but can also put your data at risk. Once you put your files on the cloud, the system could be hacked and your information can be stolen or lost; no matter how secure, there is never a guarantee. The New York Times, Facebook and even the U.S. Federal Reserve have all fallen victim to cyber-attacks that were actually successful to some degree. Don’t let the big names fool you! Check your data often, maintain local backups of the really important stuff and keep an internet paper trail in case you ever need to prove ownership of information. Personal computing device sales surpassed PCs in 2013. The two major operating platforms, iOS and Android, have significant security concerns but companies are implementing Bring Your Own Device policies to save on overhead. Sure, saving money is great, but BYOD methods introduce huge security risks to the organization and to the individual. The recommended key to fixing this problem is training. 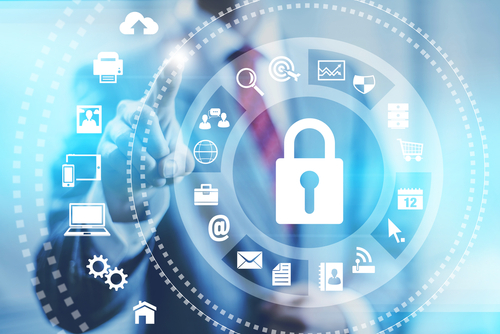 Security risks can be mitigated by understanding the rules of consumer protection. Research of college students entering the workforce shows that they do not understand the dangers or the steps associated with reducing risks. The best way to avoid data theft is to be in the know. Coffee and free WiFi are one of the joys of the modern world. Unfortunately every time you log onto the network, you’re putting yourself at risk. To a savvy hacker, every person on that network is openly sharing information. A good rule of thumb is to never make purchases from a shared network environment. Even if the site is secure, the information can be intercepted long before it gets to the destination. For example, over the past year India has started finding itself in an epidemic of cyber-attacks and thefts because of its shared Internet networks. You can do almost anything with a smartphone or tablet. Most people do not understand the power and risks that come with using smart devices for business purposes. These devices can get malware just as a PC might. Make sure that your tablet and phone have protective software. Both Google and Apple have a wide range of recommendation to keep the hackers out of your phone.